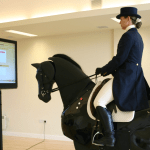 We are the only riding school in the area to have our own Racewood Dressage simulator, the most advanced of its type in the world. 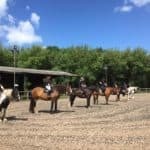 On ‘Othello’, we can offer technical riding lessons to nervous or returning riders and beginners through to advanced dressage riders. 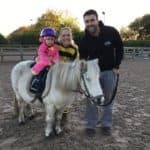 Our experienced and friendly staff can offer riding lessons to suit all ages (from aged 2+) and abilities. 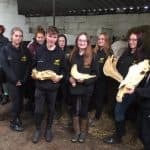 We pride ourselves in being extremely family orientated by providing lots of activities for all the family to be involved in together. 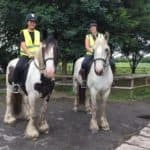 As well as lessons and hacks, we provide various accredited courses which include both riding and care elements to children and adults. We are also a Polocrosse centre for those of you who fancy participating in something a little more ‘vigorous’. 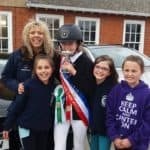 Our Pony Club centre is one of the largest in the country and is split into three age ranges. 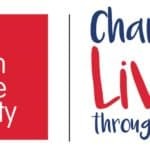 Activities are provided for children and teens from age 5-18 years old. The course content is adjusted to suit the age of the child. 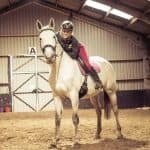 We can also offer jumping lessons to horse owners who would like to bring their horse to our centre to improve their jumping skills. 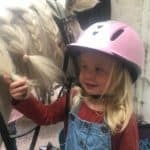 During school holidays, we always offer a range of activities to both children and adults (sign up to our newsletter for the latest events). 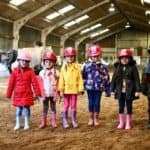 We also offer our very popular ‘Pony Parties’ and we recommend you book early due to current demand.